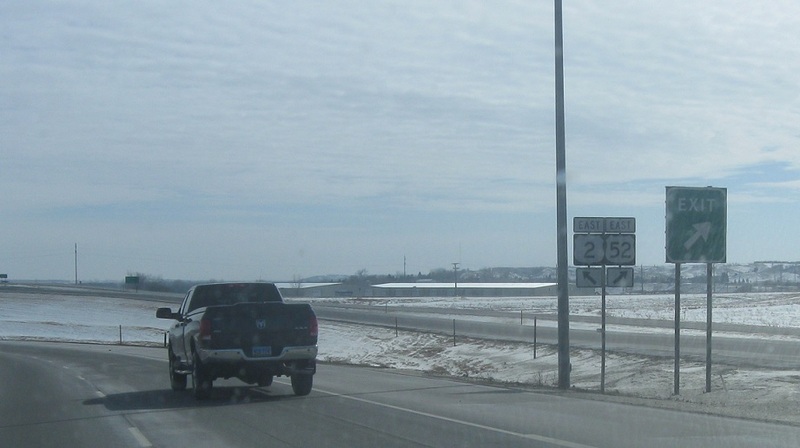 Reassurance shield after the 83 junction. 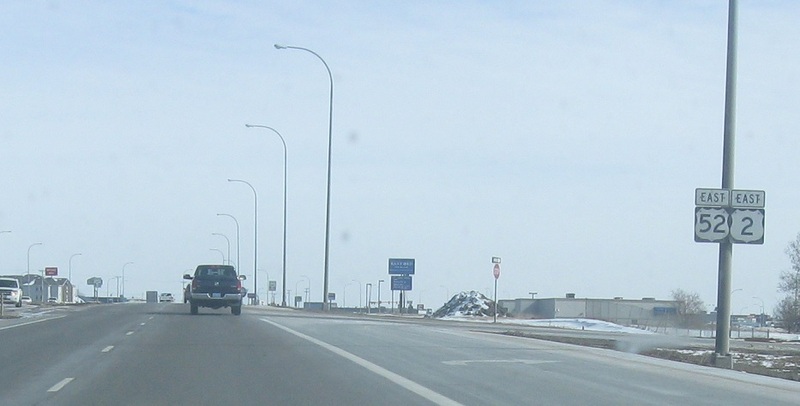 As we head out of Minot, US-52 will split from US-2. 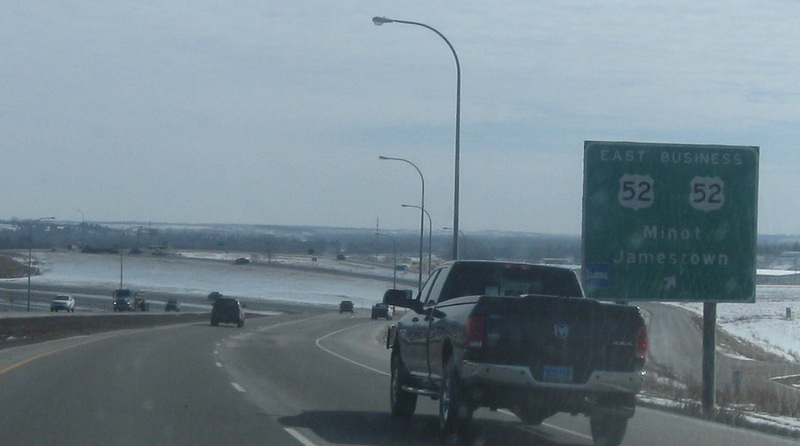 Exit for 52 east towards Jamestown. 52 Business also ends here, and heads back into downtown Minot. Exit for 52 east. Stay on the expressway for 2 east.